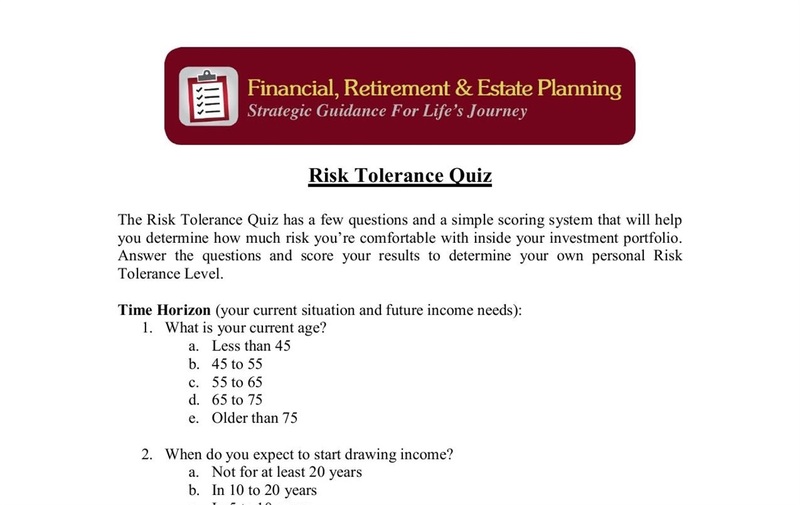 A few questions and a simple scoring system will help you determine how much risk you are comfortable with. 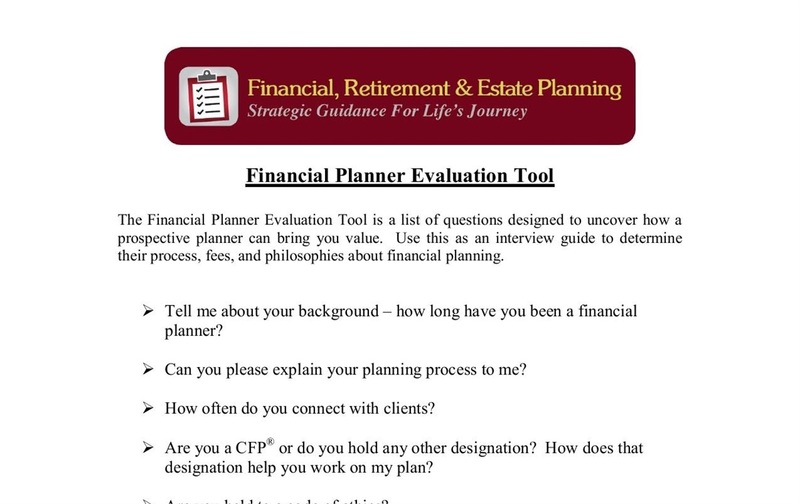 A list of questions designed to uncover how a prospective planner can bring you value. 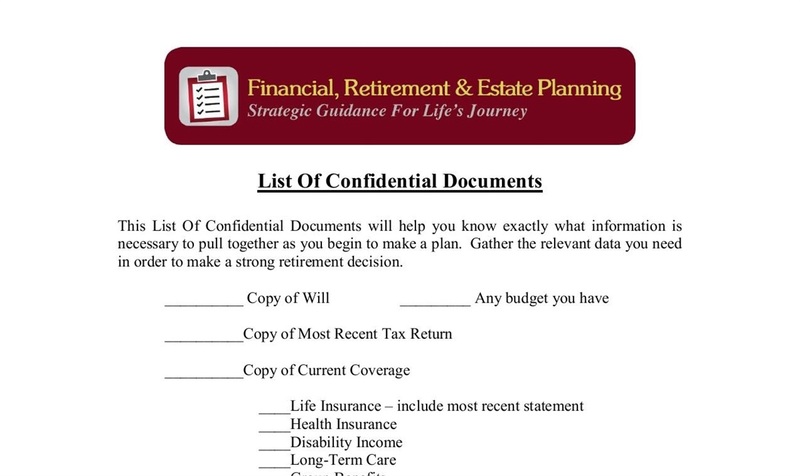 A list to help you know exactly what information is necessary to gather as you begin to make a plan.